The Old Apple Tallet is a splendid barn conversion situated near the town of Launceston on Waterloo Farm. It boasts two bedrooms; one king-size double and one family room with bunks and a single bed. There is also a bathroom and an open-plan living room with a kitchen, dining area and sitting area. Outside is ample off-road parking and a patio area with seating. 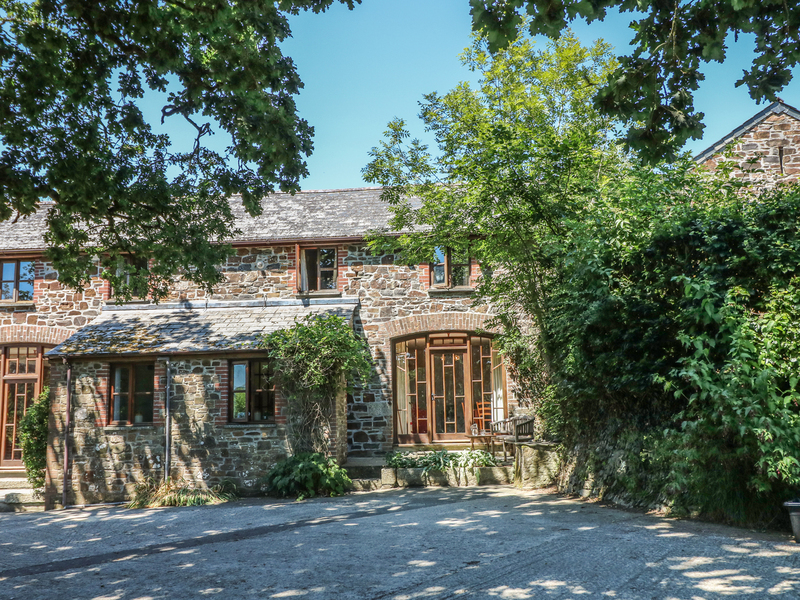 The Old Apple Tallet is a beautiful Cornish cottage for a wonderful stay. Gas heating with woodburning stove. Gas oven and hob, fridge/freezer, microwave, dishwasher, 4K Freeview Smart TV, DVD player. Fuel, power and starter pack for fire/stove inc. in rent. Bed linen and towels inc. in rent. Cot, highchair available on request. Fitted stairgates. Ample off-road parking. Patio with seating area. One well-behaved dog welcome. Sorry, no smoking. Shop 3.6 miles and pub 2.1 miles. Note: Classic British Motorcycle Collection on-site along with Ariel, BSA and Triumph (please contact owners for details) and heated outdoor swimming pool can be accessed May - September, weather dependent. Note: Laundry facilities upstairs in a shared courtyard.